It took me a few years to work out that the best way to get around central London is the bus. The tipping point was travelling home from King’s Cross with an Underground worker, who was dressed in cycling garb. ‘Surely you get free Tube travel?’ I asked. ‘Yes, but I don’t use it; it’s filthy and gloomy,’ he replied. It is. There are some journeys for which the Tube is the best option, but for almost all my travels around central London, it’s the bus for me now; it’s more cheerful, cleaner and more interesting. That said, it’s dependent on some infrastructure that’s creaking at the seams. Congestion is its main problem. Boris really let Ken Livingstone’s original idea slip, failing to increase the Congestion Charge sufficiently to disincentivise car drivers. The bus stops are also a bit makeshift, badly policed for parking, with little protection from the elements and very often with no real-time arrival information. 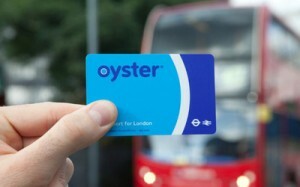 Then there’s the Oyster Card…. Boarding the 46 at Kings Cross heading for Chancery Lane, the red light flashed, the driver wagged a finger, and I had to disembark to find out why my Oyster card – set to top up automatically – was not functioning. I sat outside of the station and logged in with my smartphone. Apparently, I owed TfL £20-plus. It seemed complete nonsense. On my last visit only three weeks earlier, I had a decent balance, and made two bus trips with it. For reasons beyond my ken, it had charged me almost £20 for those rides. But the website said I had another problem; the debit card which tops up the card had expired. Still at King’s Cross, I ‘added’ a new debit card to the system, which it gleefully accepted. I avowed to interrogate TfL later about the missing £30. But then, as an afterthought, I decided to take the card to a top-up machine in the Tube station to check there would be no further embarrassment. ‘Card suspended’ was the instant message from the touch reader machine. For heaven’s sake, I thought. So I logged back into Oyster on my phone to see if I could get the card ‘released.’ After I’d logged in, the site demanded I input my Oyster card number. I did. ‘Card registered to another user’ it said, although the card was quite plainly listed on the screen as mine. So back I went into the Tube station to find someone to talk to; it entailed walking over to St Pancras, to the Underground Information Centre. When I got there, the tiny, inadequate unit had a queue outside of it perhaps 30 or 40 deep. I turned around, deciding I’d just pay for a day’s travel, only to see that the queue for the ticket machine was even longer; at least 100 people waiting in line. So, sorry to say this TfL, but your systems are rubbish, serving badly a public which has rewarded you with the ridership you campaigned for. There’s nothing wrong with the buses and drivers. The problem is you. POSTSCRIPT: My faith in TfL was partially restored by my call top the Oyster service team, who curtly but politely resolved the issue by refunding the overpayment, without question, and sending me another Oyster card within a breathtaking 24 hours.